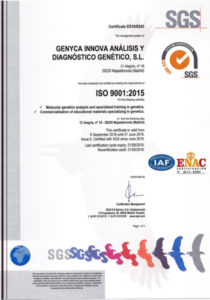 GENYCA is an ISO 9001 accredited laboratory which performs genetic analyses through procedures and protocols validated and recommended by the European Molecular Genetics Quality Network (EMQN). It fulfills all the technical and methodological requirements for certification of quality management system in accordance with ISO 17925:2005 and ISO 15189:2012. 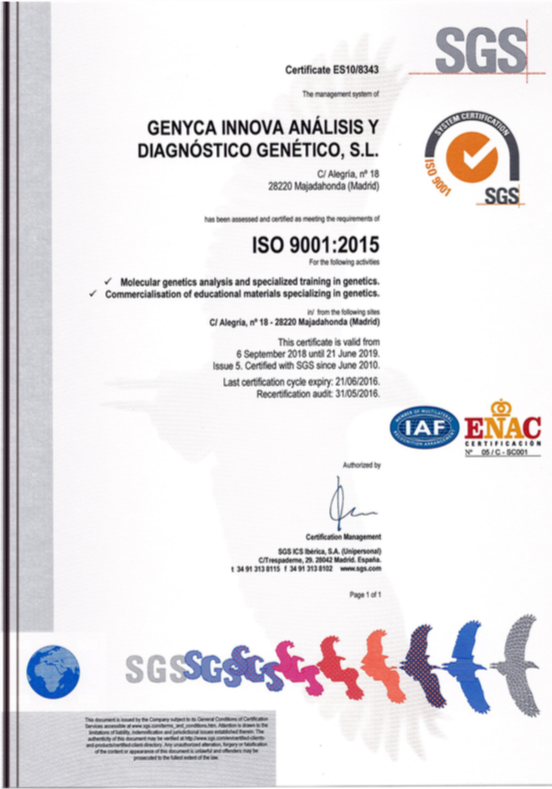 It actively participates in external quality controls for both inherited diseases and genetic identification tests. 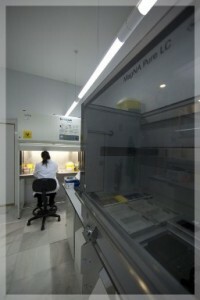 GENYCA was the first centre in the community of Madrid to obtain authorization as a Genetic Unit.